while the unit is running. 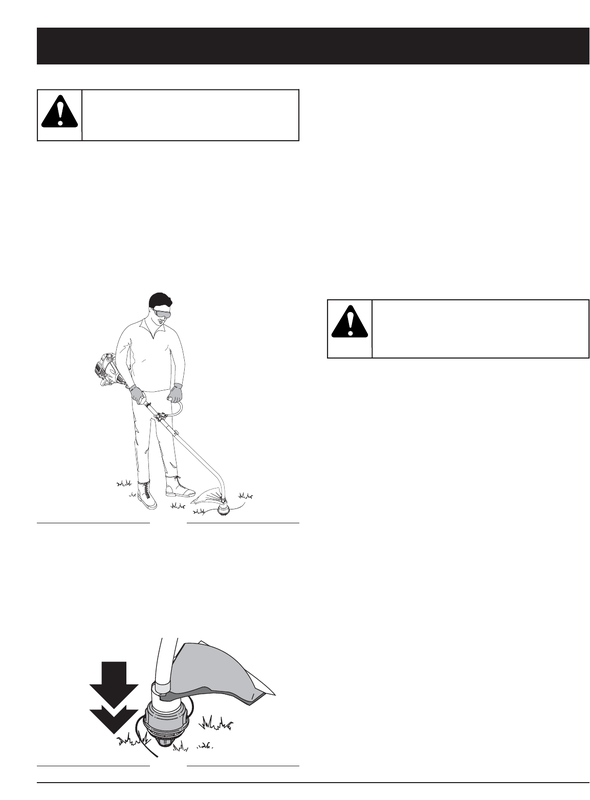 • Keep the cutting attachment parallel to the ground. the line to do the cutting, especially along walls. efficiency and may overload the engine. premature line wear or engine drag. the left improves the unit&apos;s cutting efficiency. Clippings are thrown away from the operator. lengths produces the best results. • Trim only when grass and weeds are dry. ground (Fig. 13) while operating the trimmer at high speed. NOTE: Always keep the trimming line fully extended. any excess line is released. personal injury or damage to the unit.